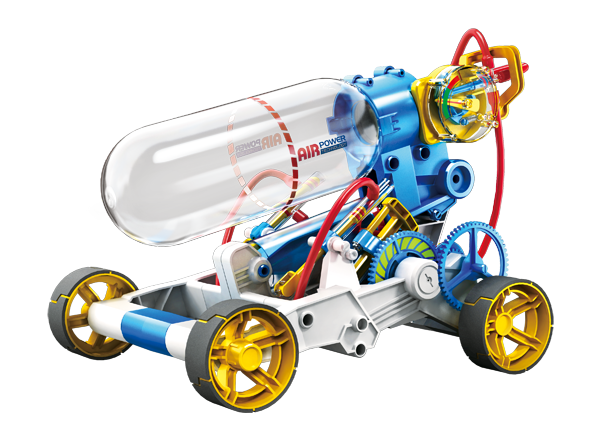 The POWERplus Junior Air Car is an air pressure powered toy car. Just fill the air tank with compressed air by pumping and then the car can run for about 50 metres powered by the compressed air. Fun and educational for children and adults as well.